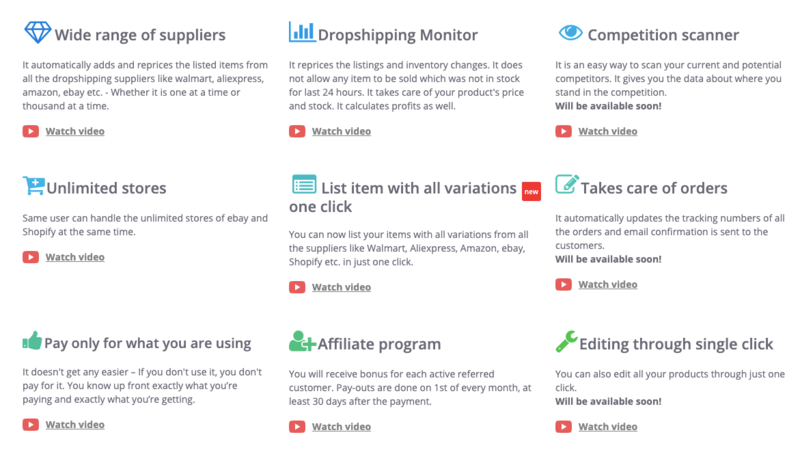 WalletMonitor is an automated dropshipping software which enables the users to find the highest margin products on different online platforms such as Amazon, Ebay, Walmart, AliExpress, etc. and helps to sell those products at a profit on Ebay and Shopify. Droshipping business has taken over the world like a storm in the past few years. However, the whole procedure of dropshipping is actually trickier than it seems. 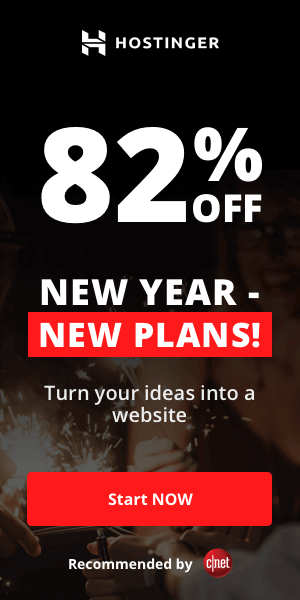 So of course, people are looking for tools and platforms to make dropshipping work like a charm. The reason for the sudden demand of dropshipping tools is due to the ever-increasing craze of online shopping. I’m sure you’re sitting at your desk, reading this article, nodding your head yes and wholeheartedly agreeing that online shopping has become a routine of your day to day life. In fact, most people don’t even prefer going to the stores anymore. You get everything from medicines to even toilet papers, online. Why would you wanna go through the trouble of walking to the nearest thrift store, eh? And let me tell you a secret; online shopping is also how you can earn lots of money. I think now that I’ve got you interested, I can reveal that I have found a tool which can help you tenfold your profit. You don’t believe me? Continue reading this article till the very end and rest assured, your trust issues will vanish into thin air. I have a brilliant dropshipping software called WalletMoney, which is just what you need if you have no clue as to how you can boost your profit margin turnover. Basically, what it does is act as a mediator and monitors the biggest e-commerce platforms so users like us can buy items low and sell them high. WalletMonitor makes sure that you don’t need inventory to make great margins. The dropshipping business has evolved over the years. 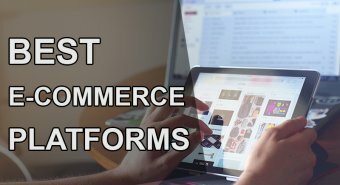 At first, there were only a couple platforms which adopted the dropshipping idea. Amazon being one of them brings in the maximum sales when compared to other sites. WalletMonitor works like a charm with all the major ecommerce platforms such as Amazon, AliExpress, Ebay, Shopify, Walmart, and many more. One of the reasons why I started using WalletMonitor was because it doesn’t limit my options. Instead, I get to filter thousands of low priced products and can maximize my own profit by a great degree. Since it’s an automated tool, it doesn’t require much direction. It seldom does all the deed on its own. The listing system is amazing and no matter how many products I list, each item automatically updates when the manufacturer re-prices or edits them. Since we now know that WalletMonitor works with a wide range of suppliers such as Amazon, AliExpress, etc., it’s time to establish if WalletMonitor is always on a hunt and scans out the lowest priced products for the user. News flash; it sure does. As the name suggests, WalletMonitor is a master when it comes to monitoring. It takes care of the inventory count and will not allow the confirmation of the order if the selected product is not in stock for the last 24 hours. Like I said above, it updates the re-pricing in the listing automatically and it also adapts to the inventory changes. On the other hand, WalletMonitor also keeps a check on the active competition in the market. It pays heed to the current pricing range so you don’t sell the product at a loss, balancing between high and low. Orders are that most crucial part of any online trade, especially in a dropshipping business. If you are running a dropshipping business and you have no tool or software to help you out with the orders, you would be in knee-deep trouble. You purchase a product from one platform and sell it over another, so of course you don’t actually see the item yourself. It’s important to always seek order confirmation if you want to avoid any frauds or scams. WalletMonitor, thankfully, is a fair tool. As soon as the order is placed, it automatically sends an email confirmation to the customer and also copies the tracking numbers of each order that has been placed successfully. Without WalletMonitor, there’s no way I could have handled my orders at one place. Most online shopping platforms have constantly been engaging with affiliate programs for a while now. Affiliate marketing has become so popular over the years, since it benefits both the seller as well as the marketer. If you know how to help sell a product, you can easily become an affiliate. You convince people to buy other people’s products and in exchange you get a small bonus. Earning a bonus is easy, what’s hard is receiving the pay-out. You see, most e-commerce sites tend to delay the pay-out and it gets a bit tedious, to be honest. Meanwhile, with WalltetMonitor, pay-outs are fixated to be done at every 1st of each month so there’s no hassle of waiting for the revenue you earned through the referred customers. One of the things I liked best about WalletMonitor was how flexible it could get with each customer. I personally didn’t need more than 1000 items listed or had the capacity to line more than 100 orders. It was a good thing that WalletMonitor has different packages which expand according to the needs of the user. You pay only for what you’re getting; nothing more, nothing less. Speaking of paying, WalletMonitor has different packages for different users. The Standard,Silver, Gold, and Platinum plans ranging from 55944 credits to 1246536 credits, are payable at $9.99, $35.00, $55.00, and $115.00 respectively. If you’re willing to look past its tiresome interface, I’m sure this tool can be the one for you. To get the best use out of WalletMonitor, all you have to do is register, install the extensiom, set up your account, and start listing the items. As easy as that! It’s got everything you could ask for and more. It monitors the items every 4 hours each day, it keeps track of your orders, is affordable and also accepts affiliate programs. You can avail the trail at just $1 and start fresh with WalletMonitor. According to my study, if WalletMonitor monitors around 100 products, it’s sure to bring in at least 18-20 orders. If you ask me how likely I am to suggest WalletMonitor to my readers, I’d say I’m maxed out. 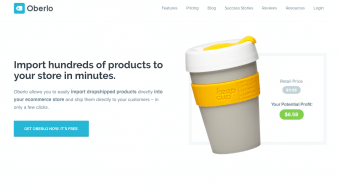 It’s a pretty reliable dropshipping automation software, so why not? Do give it a try and let me know what you think.